Who is ready for a rematch! 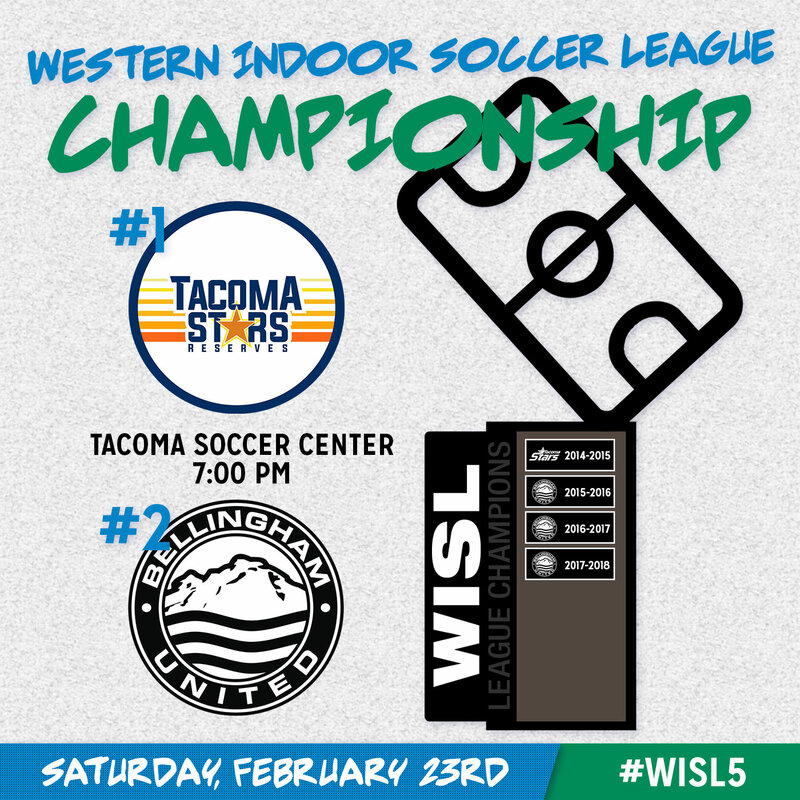 The Tacoma Stars Reserves and Bellingham United meet on Saturday night for the Western Indoor Soccer League championship, a rematch of last year’s epic final won by Bellingham, 6-5. The Hammers captured their third title in four tries but they did it on their home field at the Bellingham Sportsplex, where they have been dominant over the years. 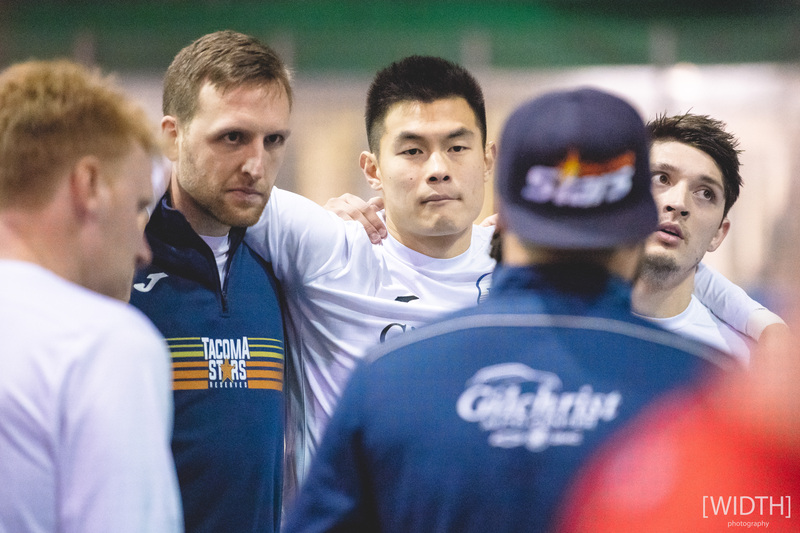 But Saturday’s game will be played at the Tacoma Soccer Center, where United has never beaten either the Tacoma Stars or the Stars Reserves, including the title game in the league’s inaugural season, the only championship won by someone other than the Hammers. The Stars Reserves enter the championship game riding an 11 game winning streak, including a 3-2 win over Bellingham on December 22nd at the Soccer Center and an 8-3 road victory on January 26th that snapped Bellingham’s years long home winning streak. They are both the highest scoring team and have allowed the least amount of goals this season. After last Saturday’s 7-2 semifinal win over Snohomish, they have scored 101 goals and given up just 30. JJ Schmeck leads the Stars Reserves with 14 goals (regular season and playoffs) and Danny Minniti and Nate Ford are tied for second on the team with 11 goals. Mike Arguello took over for WISL legend Aaron Anderson between the pipes this season and has been phenomenal, making over 180 saves in ten starts. He missed one game when he was called upon by the Tacoma Stars to fill in for an injured Danny Waltman in a Major Arena Soccer League game. And the defense in front of him has been stout highlighted by the strong play of Logan Jones and Adrian Correa. Bellingham, meanwhile, makes the trip to the Soccer Center for the fourth time this season. 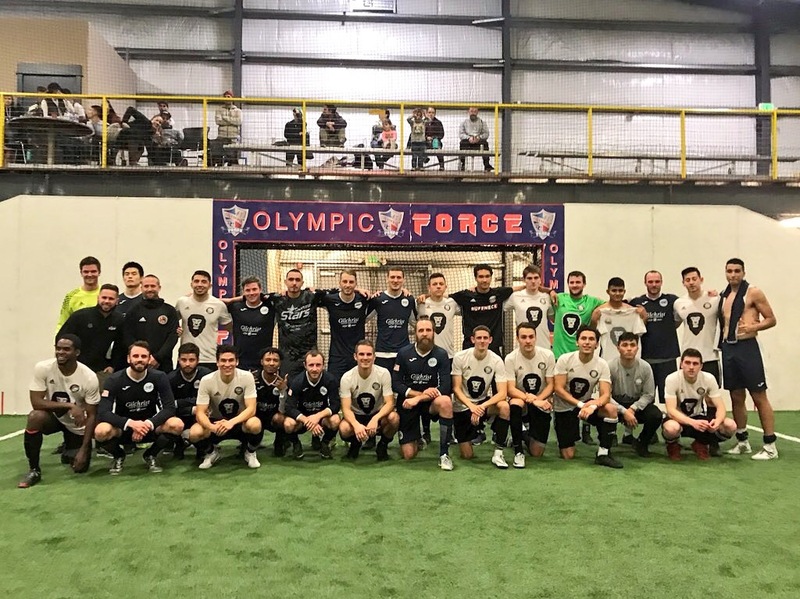 They dropped an 8-3 decision in a preseason friendly to the MASL Tacoma Stars, then fell 3-2 to the Stars Reserves, before winning their first ever league game in Tacoma, a 13-2 win over Tacoma Narrows in January. The Hammers finished second in the league in points (24 – 12 points ahead of third place), second in the league in goals scored (81), and second in the league in least goals allowed (41). Richard Henderson scored 17 goals, running away with the league’s Golden Boot, and he added two more in their semifinal win over Narrows. Uriel Herrera emerged as their second scorer finishing with 12 goals in the regular season before his hat trick in the semis. Riley Liddle started 10 games in goal, missing just the final game of the regular season against Oly Town, but was a suprise snub in the All-WISL voting. 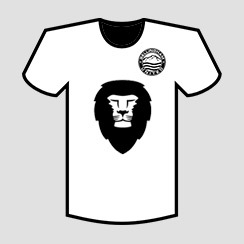 The defense in front of him includes All-WISL 3rd Team Noe Betancourt Cruz and week two’s Defensive Player Of The Week, Connor Moe. After last Saturday’s game, the higher seeds in the WISL playoffs are 14-0. 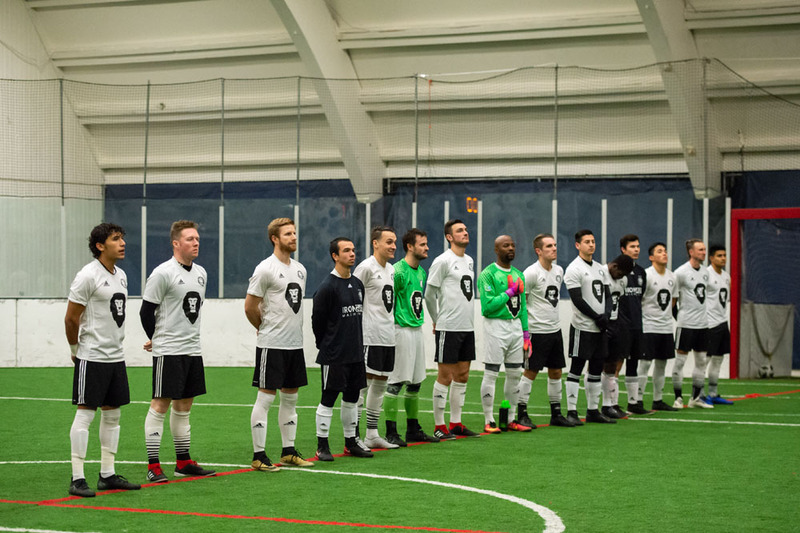 There has never been an upset in the league’s playoffs, so it will take a historic performance from Bellingham United to capture their fourth straight title. So who will it be? The Stars Reserves or Bellingham United? Find out who will take home the glory at the Tacoma Soccer Center on Saturday night at 7:00.